We have 2 meetups a month: 1 is a Support Group, 1 is a Workshop. 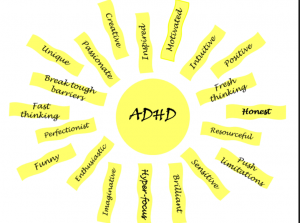 For the ADHD Support Group meetings ($5 fee), it’s more free flowing, supportive and collaborative, yet I will always give you lots of valuable tools and strategies to take with you. For the ADHD Adult Workshops, ($10 fee) we dive deep into a particular area that I know will be supportive in your journey to thrive. If you’ve been to my previous meetups for ADHD, you know already how much they mean to all attendees. We’re back, and I’m excited to see you all again. We’ll talk about what’s going on right now in our lives and how to move forward positively. I’ll have valuable handouts for you to take home and you’ll meet like-minded people who experience so much of what you do on a daily basis. We are professionals, we are tradesmen, we are Mothers, Fathers, we are everywhere, yet feel so misunderstood – except HERE at these meetings. You will leave each meeting feeling uplifted, educated and supported. – Bring notepad & pen. – Bring anyone who wants support as well. * For the ADHD Support Group meetings, I ask for a donation of $5 to offset the annual fee that MEETUP charges me of $180. Can pay at meeting check or cash. Much appreciated! ** For the ADHD Adult Workshops, I ask a $10 fee for the class. We dive deep into very real issues as I teach you valuable strategies to use.